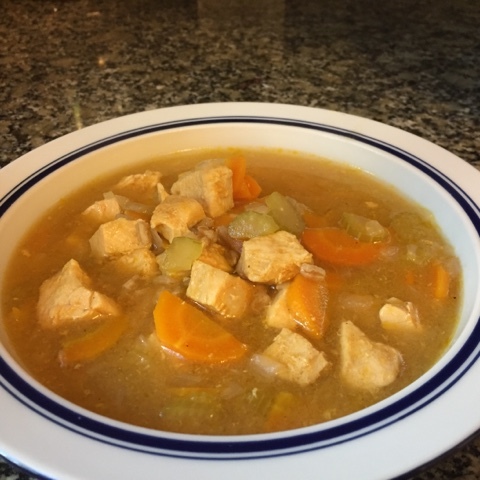 This is my take on Chicken Noodle Soup and I have to say it was delicious! 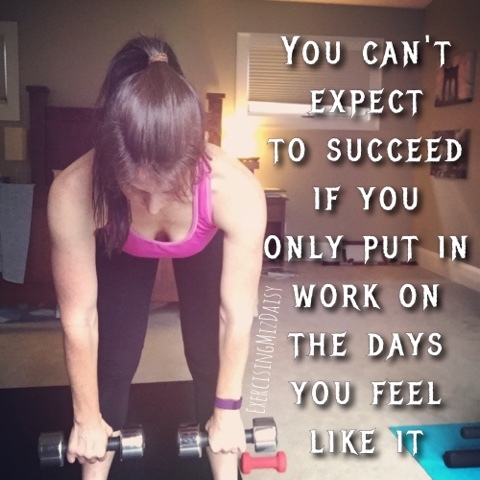 It's fix approved and makes a nice big batch which is a huge help in meal planning for the week. It's low on yellow containers so add in some whole wheat crackers if you're needing a little more on the side. I have been experimenting with my instant pot a lot lately. It's amazing what this thing can do! 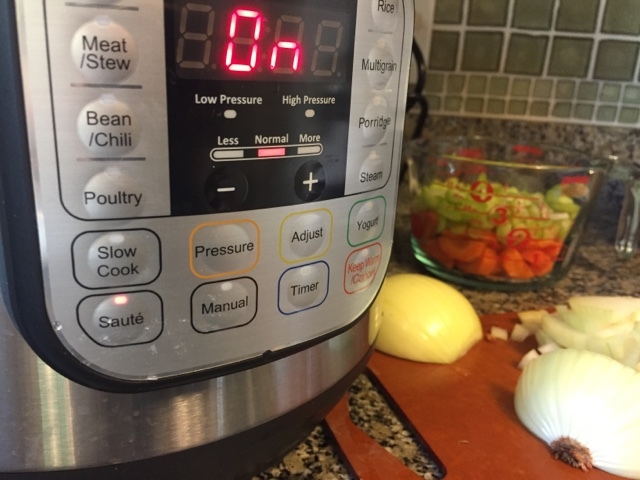 I started with the saute feature and cooked my veggies before turning it into a slow cooker. 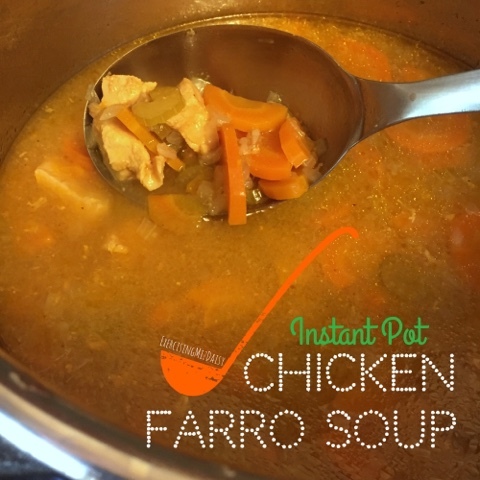 If you don't have an Instant Pot you can still make this recipe, just do it all in a big stock pot on the stove top and increase your cook times for the chicken and farro. Here are the veggies cooking on saute. Just like a stove top! 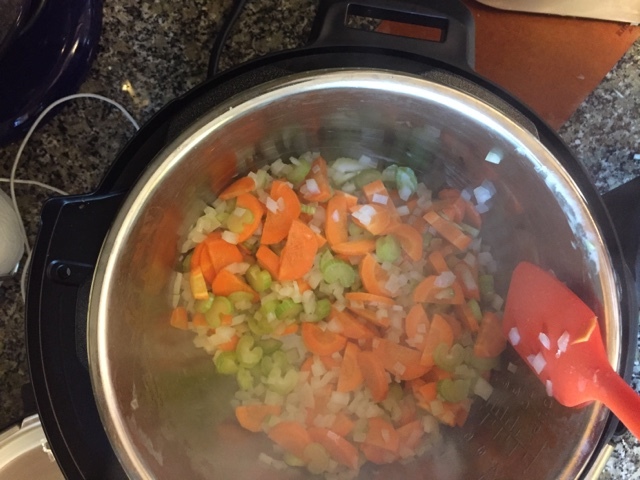 Turn Instant pot to sauté, melt butter in pan and add in onion, carrots, and celery. Saute for 5-7 minutes. Add broth, water, and chicken and set Instant Pot manual - high pressure for 5 minutes. Use 5 minute quick release to open lid when chicken is finished. Give it a quick stir while adding in the farro. Close lid and push manual at high pressure for 1 more minute. When finished use 10 minute quick release to open lid.